A Twilight, Handheld Test Run of The GH4. Shot in 4K, edited in 2k. from Kirk Tuck on Vimeo. I bought a GH4 last January and I really like the camera, especially when I am using it as a video camera. I did a hand full of major (for me) video projects last year where we used the GH4 as the primary shooting camera and then used one or two GH3s as b-roll or secondary angle cameras. I mixed lenses between the Panasonic X series and my older, manual focus, high speed Pen FT lenses and in every situation I was very happy with the performance. But I'll be the second one (after my wife) to tell you that I am more of a big picture guy and not so focused on the details. Most of my use of the cameras was in conjunction with decent lighting. If there's one thing I can do pretty well in video or in regular photography it's to light stuff. So I rarely used the cameras at ISOs higher than 640 (except for some of the restaurant footage for Asti Trattoria which was done at ISO 1600...). All of our paid projects last year were also done in 1080p. But here's the deal; some people really care about shadow and mid tone noise and some don't. It's like a sensitivity to wool sweaters or cheap sunglasses. I'm sure you know two groups of photographers: one group that thinks grain adds a lot to images and another group that sees grain as a major failure. It's the same thing. Given my perspective that a certain intolerance or over-tolerance for noise might be highly subjective I felt duty bound to shoot the camera in a dark set of situations and just see for myself. I grabbed the GH4 with a Leica 25mm f1.4, a fat memory card and an extra battery and went downtown to shoot some minute's worth and check out the noise for myself. And I set up the camera just the way I thought it should be set up by a typical user. I shot at cinematic 4K which is 24 fps. I set the exposure to manual and set the shutter speed to 1/50th while leaving the aperture wide open (it's not a lens performance test, after all). I used AWB and I varied the ISO sensitivity from somewhere around 640 all the way up to 3200 over the course of my little experiment. I used the "cine-like D" color profile and just to make it real I hand held that little sucker (also an experiment to see the effects of coffee on small camera holding technique). So, what did I find? Hmmm. I can see the noise in the deep blue sky areas and in some of the mid tones but it doesn't bother me at all. The highlights seem clean and clear. I'd use the footage as long as the content was good. If the content isn't there the cleanest file in the universe is pretty much a non-started. My overall thoughts? If you do good lighting and you get enough level to work at ISO 200-800 you can pretty much use the footage for just about anything. Yes, you might hit the noise reduction a bit and you will want to sharpen but at the lower end of the ISO scale you shouldn't have any issues whatsoever. It may be the downsampling from 4K to 2k that helps but the times I've shot these situations originally in 2K yield pretty much the same results. The camera is quite good and the focus peaking, zebras, potential to use a 200 mbs codec are all nice extras. I won't disagree with my pro video friend, I'll chalk it up to different sensibilities. I know this is not about still photography but the test was, in fact, part of my overall decision making matrix about gear for the year. The Panasonic wins again---at least in the video category. I'm keeping it! Photographic Tools and Toys that have my rapt attention in 2015. For better or worse. I want one more of these at the same price I paid in December. $1249. Every once in a while I get into the mood to go shopping. It usually happens during the slow periods for the business. Like right after major holidays when the business world is trying to get some traction and rev back up into action. I start looking at what I've been shooting with and I look over the fence to see if the grass is greener in the other yards. Sometimes I think it is and sometimes I wonder why we don't just all xeriscape and get it over with. But shopping doesn't mean looking. It means touching, fondling and usually rejecting the final purchase of new stuff because: a. We don't need it. b. We can't afford it. or c. The merchandise is not as pretty and magical in person as we thought it was when we read the breathy reviews on the web. So, here is a list of stuff that I'm ogling in 2015. It doesn't mean some or all of it will end up in some corporate board room, pressed into the service of commerce and it doesn't even mean it will end up in my bag. But it's stuff that's whetted my appetite for sure. 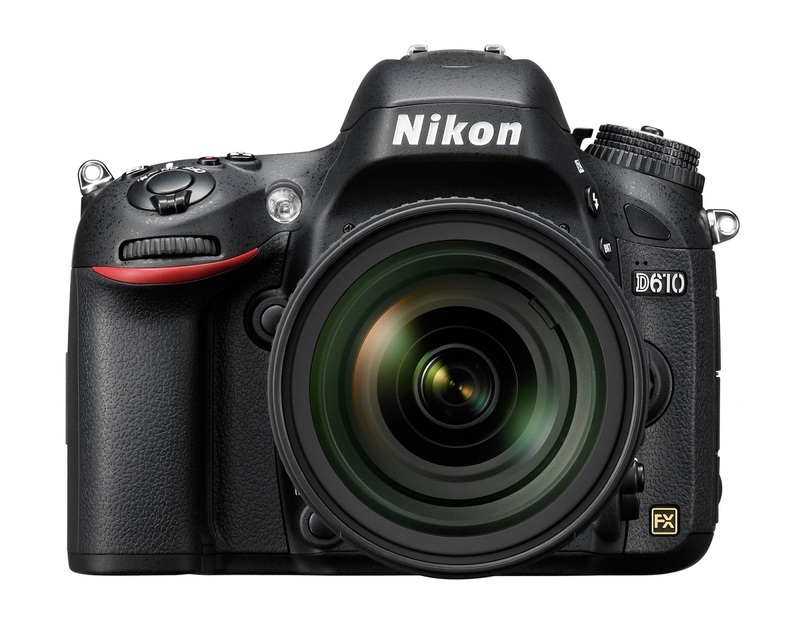 First off, every store in the USA is selling the Nikon D610 for about $1499. When you consider that the sensor inside this camera is one of the top three or four sensors for the 35mm and smaller format cameras at DXO and that the body is pretty utilitarian and straight forward it really is a good deal. Well, it's a good deal if you have a drawer full of Nikon lenses and a few older DX (APS-C) cameras and you want to be shooting with full frame cameras. If you don't mind the size and weight of the body and lenses it's a pretty convincing argument. I bought one on December 27th and, as I believe that cameras are always happiest (and jobs safest) when they travel in pairs I would like to add a second one before the rebates expire at the end of January. But to be honest, if I weren't cheap, hadn't just bought a really nice couch and paid for another semester of college at a nice school, and put money into my "pay the IRS" account the camera that I am really interested in is the Nikon D810. What can I say? Even though I know that in most of my hand-held shooting there will be no discernible imaging advantage between the 36 megapixels of the D810 and the 24 megapixels of the D610 my irrational mind is trying to convince me that I will spend more time with my cameras on the big, stout Gitzo tripod this year, carefully fine focusing miraculous lenses in live view and using some sort of esoteric remote to trigger it all with. I know this is a fantasy and that I'll continue to hand hold, use cheap lenses and generally have more fun then technical virtuosity will allow. But, it is an aspirational camera for someone who has grown up with every generation of digital, professional camera. I keep dropping by the dealership and test driving. We'll see, we'll see. But every time I buy a new camera body from one of the big makers there's always the lens penalty. I may have a treasure trove of interesting lenses for a system but when I make bigger moves there's always one that's missing. One that really works well for my type of photography business. While I have enough wide, semi-wide and somewhat wide lenses for Nikon bodies the one lens I don't have anymore is the fast telephoto zoom. I've owned several variations of Nikon 80-200mm zooms and I've shot a lot with the 70-200mm f2.8 zoom but every time I play with those lenses I have three complaints. The first is that they are never as sharp as I'd like wide open, at the long end. Getting f 2.8 and 200mm and sharp at the same time always seems like too much to ask. Then, the lenses are heavy. Really heavy to carry around all day in concert with a big camera body. I'm in good shape but I'm not into photo-masochism. Finally, the long, fast glass is too expensive. When did every good, fast zoom spring up into the $2500 price point? Who do these manufacturers think they are? Leica? No, the lens I'd pair with the newer generation of full frame Nikons would be the 70-200mm f4.0 G lens. Sharp wide open, half the weight and almost half the price. Given the sharper performance (f4 v f2.8) and the amazingly good high ISO performance of the newest, biggest cameras I think the f4.0 is the perfect compromise. I made the same choices when shooting full frame with Canon cameras and I always felt it was the right combination of features, performance and price for me. It's interesting when one system gets under your skin again (I have good nostalgia for Nikon's flash system and general performance from the old days...) but it's more complicated when several types of cameras capture your attention. For me, and for a lot of other long time shooters, Pentax creating a tipping point medium format camera in the 645Z. All of a sudden the sensor performance leapfrogged everything in the MF arena (soon fixed by Phase One but not at a similar price point) and did so at what passes for a bargain price in the medium format realm. Now, for around $12,000 we can have a monster good sensor in a very well designed and constructed body, with lots of modern bells and whistles. along with two good lenses. Pretty amazing. Lots will argue that the D810 is so close as to be interchangeable in performance but they miss the point. The overriding reason to own a camera with a bigger sensor is to get the benefit of the way longer lenses draw at the same angle of view as their smaller brethren. The 150mm f2.8 on a bigger sensor achieves a focus fall off that gives portraits a different signature. Is that different signature worth $5,000 more? For some, yes. For others, definitely not. But for an eternal optimist? I'm thinking probably so. Will I buy one? Well..... that's hitting a price point at which my business partner definitely gets a strong say and a veto vote. I'd have to convince here (with a signed contract in hand) that a client job would effectively cover the cost. Do I want one? What red-blooded photographer doesn't? But I'll be frank, I don't have any clients clamoring for more than current 35mm sensor sized cameras can deliver. Just no demand in my niche.....yet. There's one last thing that has me mulling over the checkbook balance. It's not a camera. It's not a lens. It's a more pedestrian piece of gear that will be as functional in two years as it would be right now and my interest is more piqued by my recent use than anything else. I want another Fiilex P360 variable color temperature LED light. While they don't put out a huge amount of lumens the ones they do deliver are pretty much flawless and the lights work just as I want them to. Wow. A product on my mental shopping list that's actually useful and functional as well as affordable. Zany.